Photo of vine creeping up cinderblock wall. Photo of Chevy logo on old car. Photo of barn in North Carolina mountains. Photo of buoys on fence in Northern California. 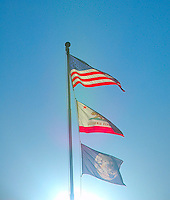 Selection of Americana Photos for Stock use as well as Fine Art Prints. Subject matter includes: Rural, Barns, Fall Foliage, Lakes, Barns, American Flag, Churches, Farms, Highways, Trains and Vegetables. Americana Art.